Get the most out of your textbook with this helpful study tool! 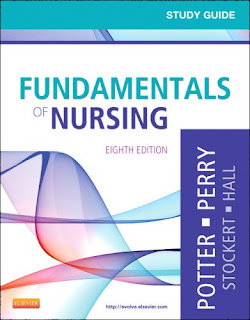 Corresponding to the chapters in Fundamentals of Nursing, 8th Edition, by Patricia Potter et al., this study guide helps you understand key concepts with review questions, exercises, and learning activities. Skills checklists on an Evolve companion website help you learn and master important nursing procedures. Preliminary Readings refer back to related chapters in Fundamentals of Nursing, 8th Edition. Comprehensive Understanding sections help you master the key topics and main ideas in each chapter. Case studies and Critical Thinking Model exercises help you apply what you've learned. Multiple-choice review questions evaluate your understanding of key chapter objectives. Content updates match the new information in Fundamentals of Nursing, 8th Edition. Updated skills performance checklists are now available on the Evolve companion website, and are both interactive and printable.